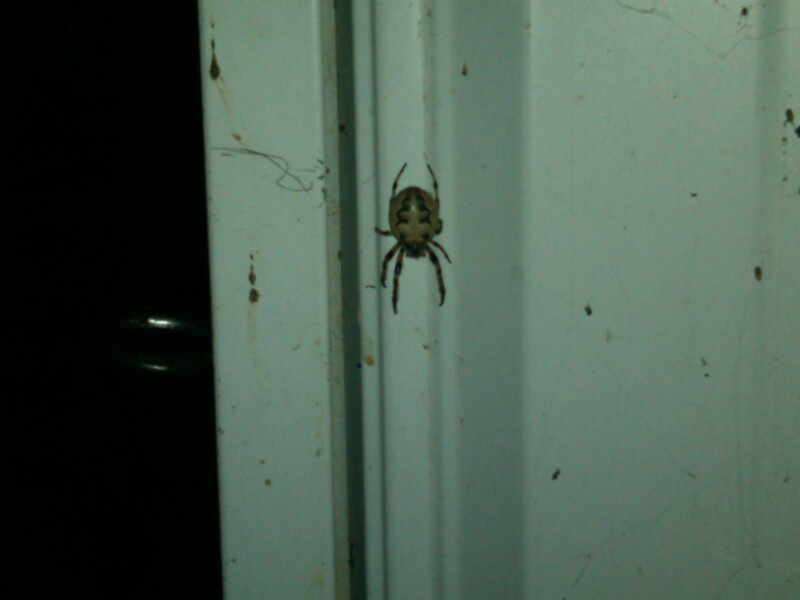 I saw this big spider on my barn door. No idea what type he is. UPDATE: Thanks to Ray Sadler, we’ve decided this spider is either a Furrow Spider or Garden Orb Weaver.